Used for towing and recovering large pieces of equipment such as full size semi-trucks, construction equipment, diesel pusher motor homes, and buses. Enables us to assist clients with disabled semi tractors and trailers. Hard working trucks get dirty. Paint and decals start peeling or fading after years of tough work. 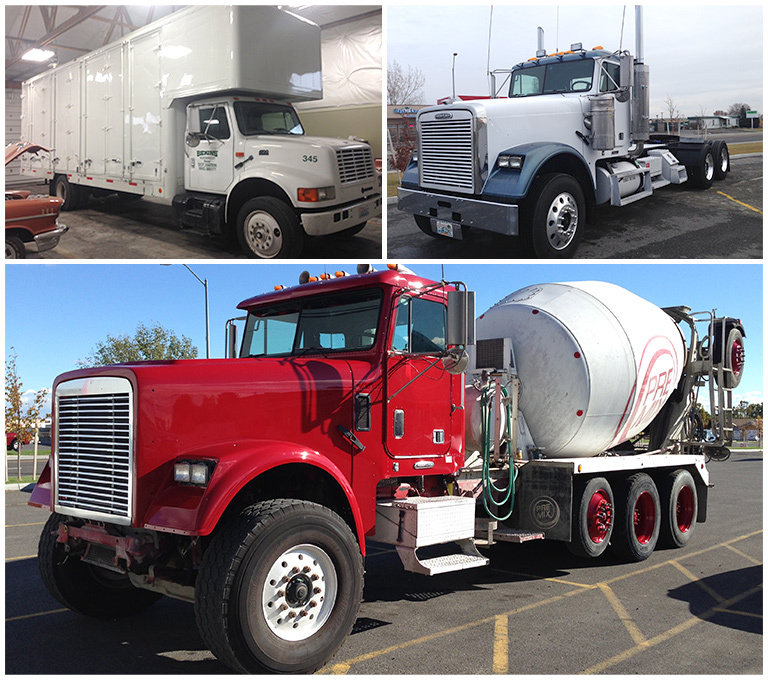 We know it’s important to put your best face forward and your fleet is your first impression to your customers and the general public. We are equipped with an 8,500 square foot facility; one of the largest side draft heated paint booths in the area; and a ventilated and secure in house paint mixing room. Our I-CAR certified technicians have over 17 years of experience and are dedicated to keeping your fleet looking clean and fresh without breaking the bank. 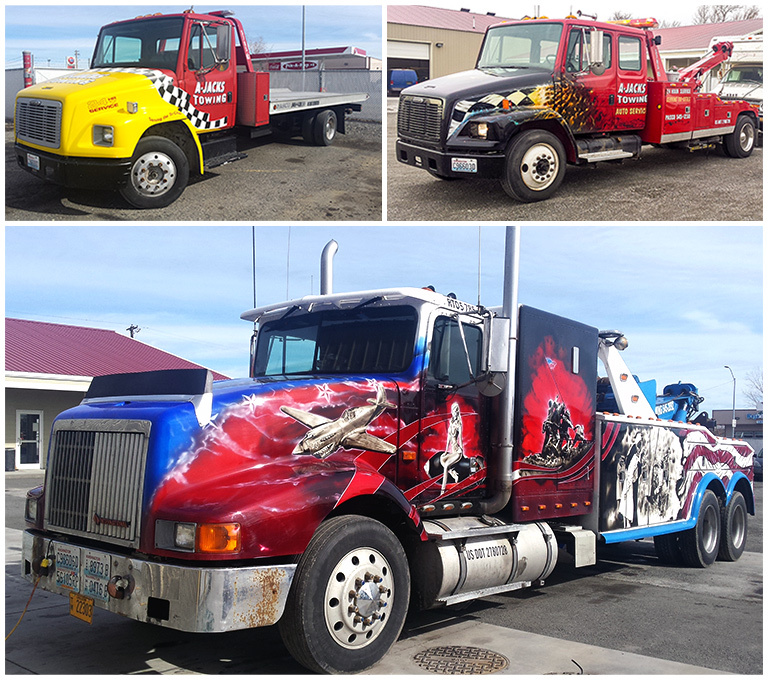 Our tow truck operators bring over 20+ years of experience to the industry and are standing by to tow your vehicle to your home or repair facility.